Visit our showroom in Jackson CA to view a great selection of top-rated, high efficiency pellet stoves. 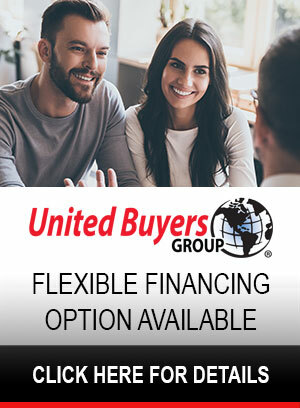 We are just a short drive from Ione, Valley Springs, Pioneer, River Pines, Acampo, Angels Camp, West Point, Clements, and anywhere in Amador & Calaveras Counties. 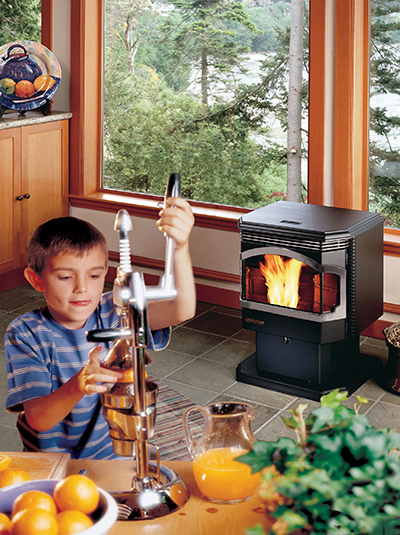 Today's homeowners are all about saving money, and a pellet stove can help you do just that. With the rising costs of energy, finding a heat source that is efficient and effective is a big priority for many people. A pellet stove is a wise choice for homeowners that are looking for a supplemental or primary heat source that is easy to use, clean burning, and reliable. Pellet stoves are not only highly efficient and provide some of the highest heat output on the market, but they are also eco-friendly, too. These sophisticated combustion appliances offer low-cost heating and are cleaner and require less maintenance than traditional wood fireplaces & stoves. Wood stoves rely on radiant heat to warm the air, whereas pellet stoves rely on convective heat which means that they don't get too hot to touch. This is a huge benefit for families with children or pets. Pellet stoves are engineered & designed for installation in almost any room or space in your house thanks to built-in heat shields that allow them to sit near walls. This makes them a great choice for spaces where wood stoves would not be practical due to installation regulations. These smart appliances don't require the leg work and upkeep that wood stoves need, which make them a convenient alternative for homeowners who like a wood fueled fire, but dread starting, tending, and maintaining a wood stove. You can easily start a fire with the push of a button or with the built in thermostat and then "set & forget." The great thing about a pellet stove is that once you fill the storage bin/hopper with pellets, the heating stove will produce a comfortable, steady heat for hours on end with no more work needed from you. Stop by our showroom to check out these incredibly efficient & beautiful heating stoves in person and let our knowledgeable staff show you all of the wonderful features and benefits you can enjoy when you purchase a pellet stove.